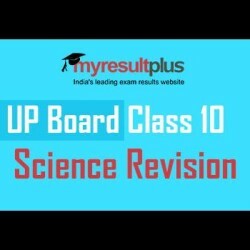 UP Board Class 10th Science: Model papers are being provided here for a thorough revision. The science is one of the most important subjects for class 10th students of UP. Therefore, students should prepare this for sure. The sample paper is given here along with the tips which are very useful for students of the UP Board of Examination, Class 10th. Q. Why are some patients of diabetes treated by giving injections of insulin? Diabetes mellitus is caused by a lack of insulin in the body. The pancreas of a diabetic patient either does not produce insulin or produces an insufficient amount of insulin. In the absence of insulin, the glucose is not utilized properly in the body. The increased level of glucose in blood may appear in the urine. It also affects various other important organs of the body like heart, kidneys, eyes, etc. Therefore, to compensate for the missing insulin in the body or to reduce the blood sugar level of the body insulin injections are given to some diabetic patients. Insulin is a proteinous hormone, hence cannot be taken orally, as it would be digested. Some other medicines are given to some patient, which increase the secretion of insulin from the pancreas. Q. Why cross-pollination is more useful than self-pollination? The seeds produced due to self-pollination are light, small and weak. Hence, the plants grow with these seeds are also weak. There is a lack of resistivity found in these plants. On the other side, seeds produced due to cross-pollination are big, healthy and more in number. The plants with these seeds have strong resistivity. Self Pollination occurs within a flower or between two flowers of the same plant and hence there is no possibility of variation in the breed of plants occurs. On the other side, cross-pollination occurs between two flowers borne on different plants of the same species; hence it leads to developing more new species. There is a possibility to develop new and modified species in cross-pollination only. In self-pollination, it is not possible. Q. One-half of a convex lens is covered with a black paper. Will this lens produce a complete image of the object? Verify your answer experimentally. Explain your observation. When one half of a convex lens is covered with a black paper, this lens produces a complete image of the object. Taking it we perform an experiment as given below (draw it as well). Take a convex lens and cover half part of it by using a black paper. Place it vertically in a stand. On one side of it place a burning candle. On the opposite side of the lens fix a white screen as shown in the figure. Now adjust the position of candle or screen till clear image of the burning candle is formed on the screen. We observe that the image is a complete image of the burning candle. From the experimental observations, we find that image formation does not depend upon the size of a lens. However, the brightness of the image decreases when some part of the lens is blocked. Q. Why does the aqueous solution of acid conduct electricity? Q. What is blister copper? Q. Write a short note on Group or radicals. Q. Draw a neat labelled diagram of Nephron (renal tubule). Q. How does electric energy is produced in a nuclear reactor? Q. What are the advantages of cloth bags over plastic bags during shopping? Q. Why is damage to the ozone layer a cause of concern? What steps are being taken to limit this damage? Q. What is the role of bacteria and fungi in an ecosystem? Q. Give reactions to show addition and substitution reaction for an organic compound. Q. Write a short note on the diagonal relationship.